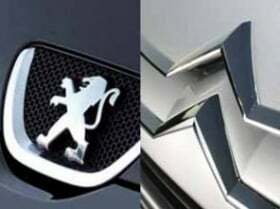 PSA/Peugeot-Citroen SA has reassured workers that its factory in Aulnay, near Paris, has a future. The French carmaker was responding to press reports that the factory may be closed to improve the automaker's competitiveness. The reports cited an internal document that said production of the C3 subcompact would be transferred from Aulnay to another plant near Paris. "PSA/Peugeot-Citroen firmly states that the closure of the Aulnay site is not currently on the Group's agenda," the company said in a statement on Thursday. It said the document was a preliminary working document drafted nearly a year ago that set out some of the company's options for improving its competitiveness in Europe. "This document does not in any way constitute a decision taken by the managing board. In the context of the crisis in the automotive industry, as was the case in the summer 2010, the managing board considers that analyzing these kinds of issues is part of its responsibility," the statement said. Earlier, French labor union CGT released an internal document which it said showed the automaker planned to shut the plant. "There was never a decision on a closure," PSA industrial operations head Denis Martin said at a news conference on Thursday. He refused to comment on what might happen to the Aulnay site on the outskirts of Paris over the longer term. The factory employs 3,600 workers, Le Monde reported earlier. "When it comes to our overall complex of sites, the question of medium- to long-term is one which I can't answer," Martin said. "You'd have to be a soothsayer." Union officials said they remained convinced that PSA, which recently repaid the final portion of a 3 billion euro ($4.4 billion) government loan granted during the 2009 recession, planned to close the factory. Less than 200,000 cars were produced at Aulnay last year, compared with 400,000 annually in the middle of the last decade, said CGT representative Jean-Pierre Mercier. The C3 built at the Aulnay plant was launched in October 2009 and is the best-seller of the Citroen range with around 310,000 vehicles sold in 2010.